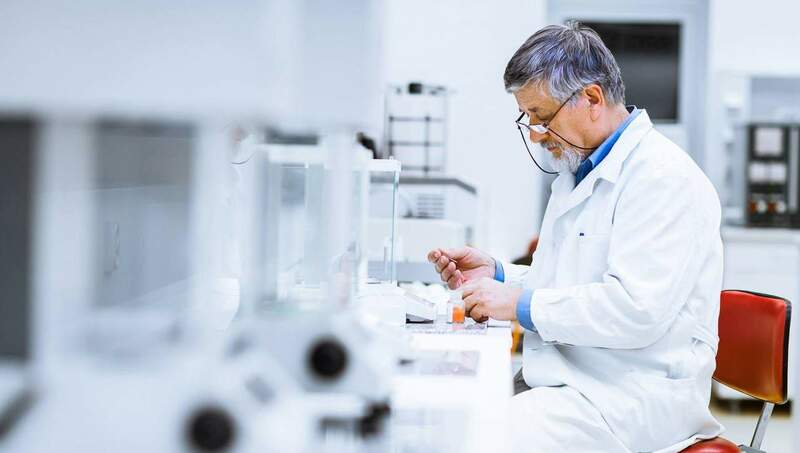 Quite simply research is a systematic, logical, methodical and structured investigation about something, usually to either find something specific out or to find out what might explain some phenomenon for example. Research can span from asking a group of people what their preferences are about something like a new drink, right through to complex and long-term studies over many years to find the long term effects of a particular drug, or the composition of a galaxy for example. Deductive research usually starts with a theory, a hypothesis or a statement. For example ‘Smoking leads to an increased chance of getting lung cancer’. This hypothesis or theory can then be tested. (Actually we test the opposite but more about that later). So broadly speaking deductive research is to see if there is evidence for a particular hypothesis or theory. Inductive research on the other hand is the other way around. “We have noticed these things happening (the evidence or phenomenon), what theory or hypothesis could explain it? For example “What explains the increase in global temperatures over the last 100 years”. So deductive research is about testing theories and inductive research is focussed on finding a theory that explains some bits of evidence. 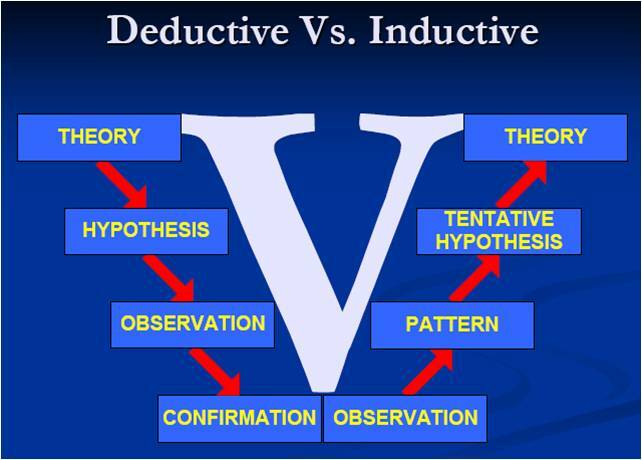 Deductive starts with a theory and looks for the evidence and inductive research starts with the evidence or phenomenon and looks for a theory to explain it. In academic research terms it is very unusual to find research that is focussed on a question like “Are global temperatures increasing?” I know that sounds odd, why wouldn’t you ask a question like that? It sounds pretty researchable. Surely you just track the temperatures. Well yes, however scientists will tend to turn it into a statement like “Global temperatures have not increased significantly in the last 100 years”. Why what’s the difference? They sound like the same question. what do we mean by increased? What a stupid question, an increase is an increase. If we find that in one year in the last 100 years global average temperatures were 0.000004o C higher, would that count as an increase in global warming? What if that temperature was recorded in the first year of the 100 years we looked at and all the rest were all the same? What if it was the last year? What if it were 4oC? What if … and so on. Deductive research needs something specific to test. However there is still a problem. We don’t actually test the hypothesis or the theory. We test what is known as the null hypothesis, or the opposite of the hypothesis. So with our example above “Global temperatures have increased significantly (I’ll explain this bit in my next post) over the last 100 years” we would actually set out to disprove this theory. You see there is a big problem with proving something. You have probably had this experience. You start to suspect that someone you know is up to something (having an affair, planning a party, lying about something etc). So you form the suspicion – a theory, about what they are up to. Pretty soon the evidence starts to stack up. You find evidence everywhere that they are doing the thing you suspect they might be. Even the way they talk adds fuel to your suspicion, until pretty soon you become convinced what you suspect is true. You are certain you have all the proof you need. Only to find later on it wasn’t true after all. Indeed it is quite likely that you have been the victim of this at some stage in your past. Have you ever noticed that if you are about to buy a particular car, say a black ford or have an illness, suddenly that particular car or that the people who have had the illness you never heard of before are everywhere? This is a particular bias we have called confirmation bias. It is very easy to see evidence backing up your theory any and everywhere. So to get around this what we do is try to refute or disprove the theory. In order to do this researchers test what is known as the null hypothesis or H0. This is the opposite of the theory. So with the previous example the researchers would probably look at designing research that would show that global temperatures have not increased significantly in the last 100 years or something similar. If they can refute this they can then show that temperatures have changed over the last 100 years. This is the very basis of scientific research. It is really the science of refuting things rather than proving things. Another reason for this is that as science develops so do the methods and our understanding about things. So many things we thought to be true say 100 years ago we don’t believe any more. In part this is because we have got better at researching those things and seeing them differently. So it is very possible that in 100 years time the things we think are true now, we may not believe any more. This is the progression of science. The point of this is that research never actually proves things, rather it shows that the opposite is unlikely, or not. Why do I say unlikely? In the next post I will look at what (good) research is actually saying. So for the latest scientific research and thinking about organisations, organisational development and people development you can subscribe to our research bulletins and get the research as it is published in easy to understand briefings, videos and infographics.